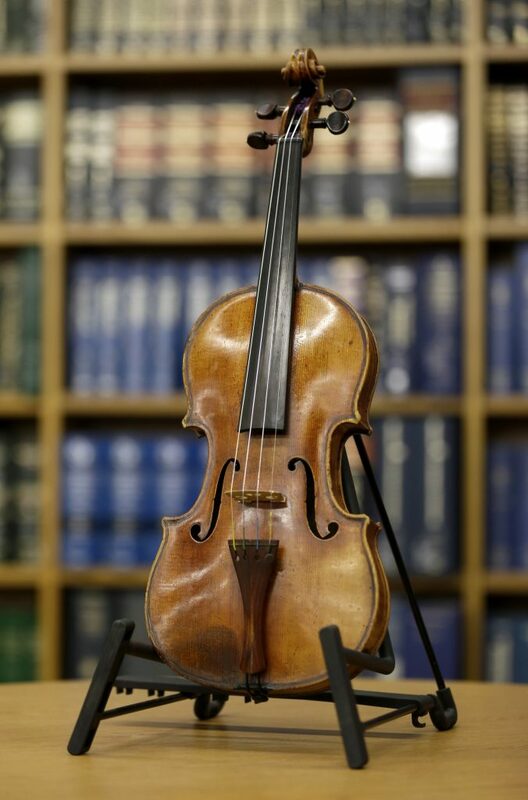 NEW YORK (AP) – The Stradivarius stolen from the late violinist Roman Totenberg and miraculously found more than three decades later has a new life — under the chin of a budding 18-year-old virtuoso. On Tuesday in New York, his three daughters presented the multimillion-dollar instrument on loan to Juilliard student Nathan Meltzer. The 18th century violin was snatched in 1980 from Totenberg’s dressing room after a concert in Cambridge, Massachusetts. It was recovered in 2015, after his death, among a former student’s belongings. An anonymous benefactor then purchased it and made sure its sound would again fill the world’s concert stages.